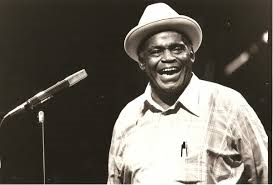 William James "Willie" Dixon (born 1st July 1915 – died 29th January 1992) was an American blues musician, vocalist, songwriter, arranger and record producer. Willie Dixon was born in Vicksburg, Mississippi. 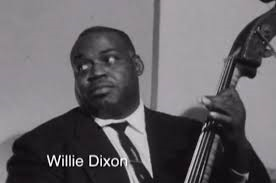 A Grammy Award winner who was proficient on both the upright bass and the guitar and as a vocalist, WillieDixon is perhaps best known as one of the most prolific songwriters of his time. Next to Muddy Waters, Dixon is recognized as the most influential person in shaping the post-World War II sound of the Chicago blues. Dixon's songs have been recorded by countless musicians in many genres as well as by various ensembles in which he participated. A short list of his most famous compositions includes "Hoochie Coochie Man" (recorded by Muddy Waters), "I Just Want to Make Love to You", "Little Red Rooster", "My Babe", "Spoonful", and "You Can't Judge a Book by the Cover". These tunes were written during the peak of Chess Records, 1950–1965, and performed by Muddy Waters, Howlin' Wolf, Little Walter, and Bo Diddley; they influenced a worldwide generation of musicians. Dixon also was an important link between the blues and rock and roll, working with Chuck Berry and Bo Diddley in the late 1950s. His songs were covered by some of the biggest artists of more recent times, such as Bob Dylan, Cream, Jeff Beck, The Doors, Jimi Hendrix, Led Zeppelin, and The Rolling Stones. He also wrote "Bring It On Home" covered by Led Zeppelin. 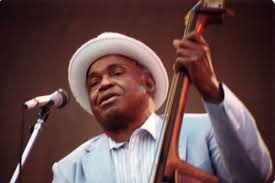 In 1988 Willie Dixon was the recipient of a Grammy Award for the Best Traditional Blues Recording for his album "Hidden Charms" at the 31st Annual Grammy Awards. Willie Dixon has been called “the poet laureate of the blues” and “the father of modern Chicago blues.” He was indisputably the pre-eminent blues songwriter of his era, credited with writing more than 500 songs by the end of his life. Moreover, Dixon is a towering figure in the history and creation of Chicago blues on other fronts. While on staff at Chess Records, Dixon produced, arranged and played bass on sessions for Chuck Berry, Muddy Waters, Howlin’ Wolf, Little Walter and Sonny Boy Williamson, and others. In no small way, he served as a crucial link between the blues and rock and roll. Born in 1915 in Vicksburg, Mississippi, Dixon began rhyming, singing and writing songs in his youth. He was exposed to a variety of music – gospel, blues, country & western – that served as the seeds for the symbiotic music he would later make in Chicago. Moving to the city in 1936, he had a brief career as a boxer and then skirmished with the U.S. Army, refusing induction on the grounds he was a conscientious objector. His early forays on the Chicago music scene included stints with the Five Breezes, the Four Jumps of Jive and the Big Three Trio, all of which made records. The Big Three Trio, in particular, are noteworthy for having brought harmony singing to the blues. Dixon really found his niche at Chess, where he was allowed to develop as a recording artist, session musician, in-house songwriter and staff musician beginning in 1951. Some of the now-classic songs he wrote for others during his lengthy tenure at Chess include “Hoochie Coochie Man,” “I’m Ready” and “I Just Want to Make Love For You” (Muddy Waters); “Back Door Man,” “Spoonful” and “I Ain’t Superstitious” and “Wang Dang Doodle” (Howlin’ Wolf); and “My Babe” (Little Walter). Although he didn’t write for Chuck Berry, Dixon played bass on most of his early records. For a few years in the late Fifties, he also wrote for and worked with artists on the crosstown Cobra label, including such fledgling bluesmen as Otis Rush, Buddy Guy and Magic Sam. 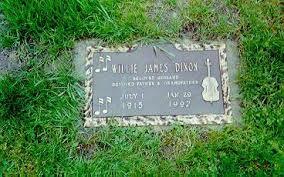 Who recorded Willie Dixon songs? A "long" list of Willie Dixon songs recorded by other artists. He wrote or co-wrote over 500 songs and his work has been recorded by some of the best-known blues musicians of his era. He was the pre-eminent blues songwriter of his era. Willie Dixon was posthumously inducted into the Rock and Roll Hall of Fame in the "early influences" (pre-rock) category in 1994. He was inducted by Chuck Berry. Dixon was also inducted at the inaugural session of the Blues Foundation, and to the Blues Hall of Fame in 1980. 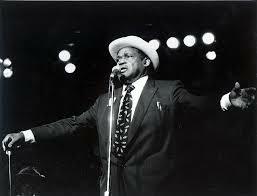 In 1981 Willie Dixon established the Blues Heaven Foundation to assist blues musicians and sponsor blues education programmes. After his death in January 1992, his widow, Marie and the Dixon family carried on his mission. In 1997 they fulfilled a Dixon dream by purchasing the former Chess Records building in Chicago to house Blues Heaven. In 1987 Willie Dixon received an out-of-court settlement from Led Zeppelin after Arc music sued them for plagiarism in relation to their use of his music for "Bring It On Home" and his lyrics from "You Need Love" used in their track "Whole Lotta Love". Willie Dixon had previously had grave doubts about the nature of the songwriting contract that he had with Arc Music, the Chess' publishing arm. He was seeing little money from songwriting, despite the hit versions of his songs such as "Spoonful" by Cream. He had never received as much money as he was entitled to as a songwriter, but during the 1970s he began to understand just how much money he had been deprived of by the publisher. Arc Music had sued Led Zeppelin for copyright infringement over "Bring It on Home" on Led Zeppelin II, saying that it was Dixon's song, and won a settlement that Dixon never saw any part of until his manager did an audit of Arc Music's accounts. Willie Dixon and Muddy Waters would later file suit against Arc Music to recover royalties and the ownership of their copyrights. Additionally, many years later Dixon brought suit against Led Zeppelin for copyright infringement over "Whole Lotta Love" and its resemblance to Dixon's "You Need Love." Both cases resulted in out-of-court settlements that were generous to the songwriter.